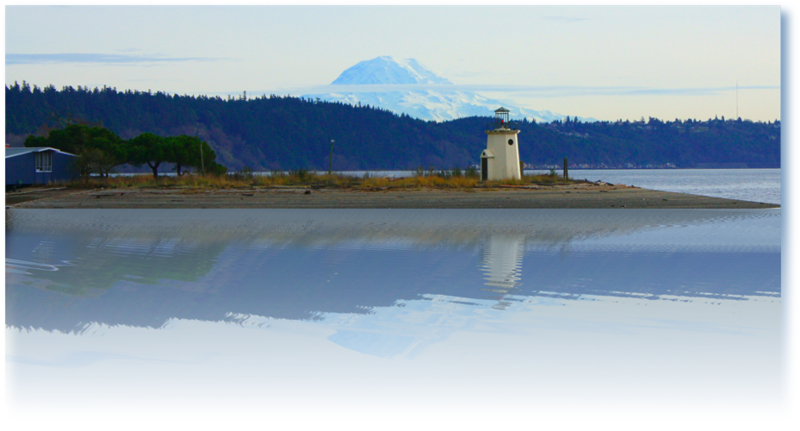 The Gig Harbor Welcome Club is a non-profit social group which provides a number of established and growing activities to keep members challenged and active in the Puget Sound area. Members may rely on an atmosphere of friendliness and goodwill and will receive helpful information regarding the local community. The Club is organized exclusively for social, educational and charitable purposes. It is non-partisan, non-sectarian and sponsors no legislative activities. We're simply here to have fun and enjoy each others' company. Here's the good news: You do not have to be new to the Puget Sound Area to join our Club. Yes, we are very open to those who are new to our city, but we also are open to those who are well-established in the area and are looking for new ideas and activities or are interested in expanding their circles of friends. We look forward to your joining our Club and enjoying all that is offered. Welcome aboard! 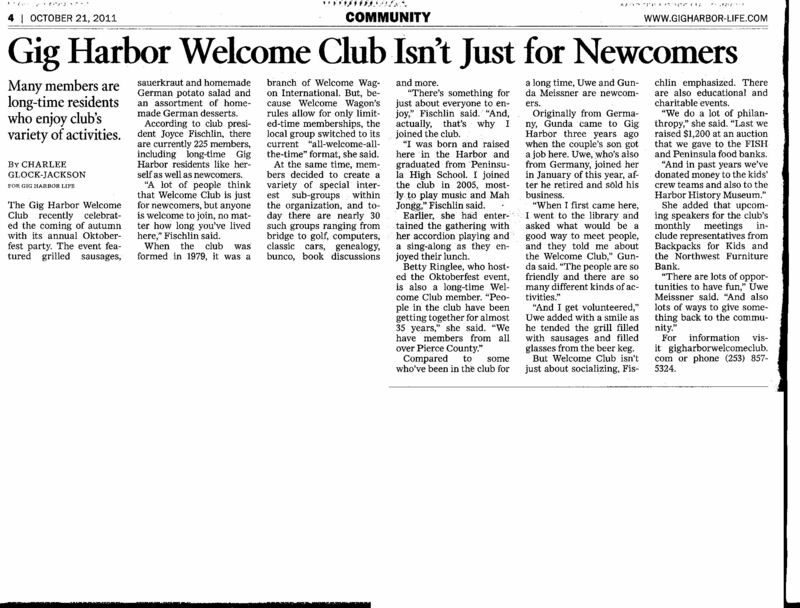 Read more about us in a Gig Harbor Life article from Oct 2011. To join, download and fill out the application form. Mail it to the address listed on the form. A check must accompany the form and be made payable to the Gig Harbor Welcome Club. For membership renewal form, click here. Click here for the current newsletter (March-April 2019) in pdf format. Click March 2019 and April 2019 for the current activity calendars in pdf format.